Safely out of the water, throwing it up to swallow head first. 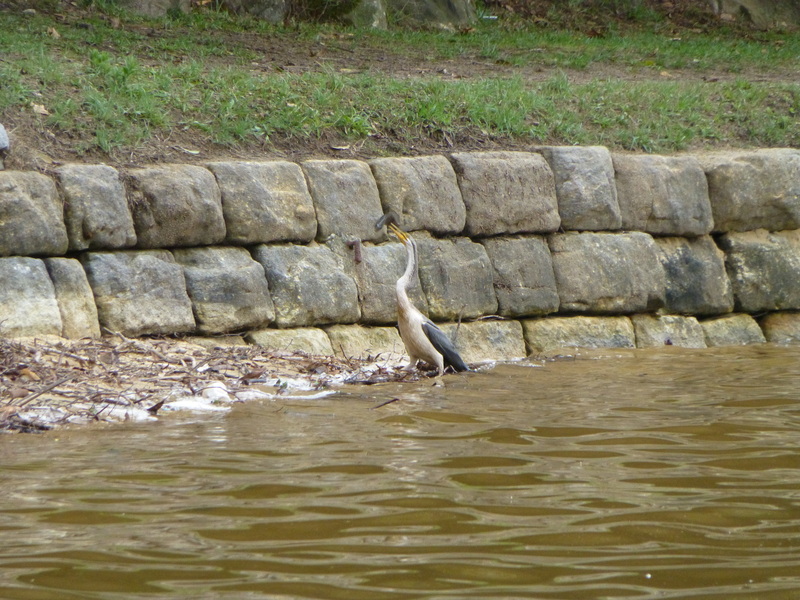 Today, I sat on a park-bench, overlooking a local river-baths: admiring the scenery. Everywhere seemed so calm, so peaceful. The effects of the recent heavy rain had kept everyone: and, it seemed, everything: out of the water. 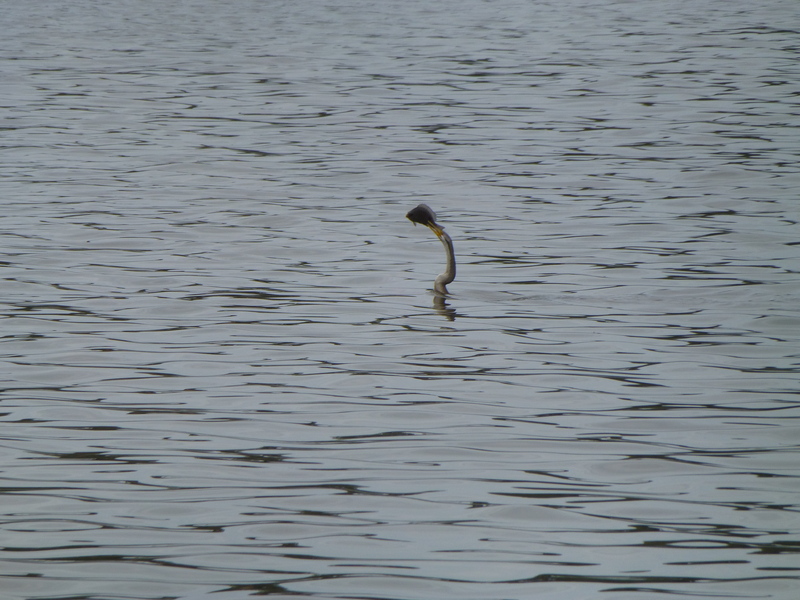 Suddenly I spotted it: a small, intriguing head atop a long, lithe neck: steadily moving in the water. With no suggestion of a body, it was just an indistinct head and elegant, supple neck. Spellbinding! Thoughts of Nessie flooded my brain! In the thirty-odd years I’d been a regular visitor, I’d never before spotted anything like it! It reminded me of an eerie, living periscope. And to think, only days ago, I’d been swimming in its current territory. But suddenly, it reached the shore: and all was revealed. Thanks to hosts http://bookdout.wordpress.com/2013/01/13/sign-up-australia-day-book-giveaway-hop/ and http://confessionsfromromaholics.com/ ! This Australia Day, let’s celebrate Australian literature: Australian writing. Let’s enhance our connection between our writers and readers: and show the world what we’ve done! As my share of the Blog Hop, I am offering the chance to win one paperback copy of my second book: proudly Australian in title, too. 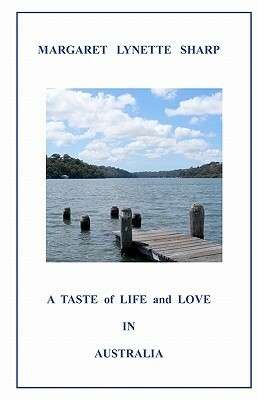 Here it is: ‘A Taste of Life and Love in Australia’. I’m a self-published Australian author of six titles available through Amazon. Currently, four titles are available as Kindle editions. My seventh book is nearing completion. All are edited by my husband, the creator of the Grand Organ in the Concert Hall of the Sydney Opera House, Ronald Sharp. Entries for the giveaway close at midnight, January 28, 2013 AEST. Sorry: the giveaway is restricted to residents of Australia. To enter, please leave a comment, and indicate that you are eligible. Of course, overseas readers are more than welcome to comment, too. The winner will be announced on 4nd February. Be sure to check out the links to other, fabulous blogs! Enjoy the Blog Hop, and Good Luck! There’s nothing like reaching a goal to put a smile on one’s face. Today, I finished the first revision of my soon-to-be published book: and, as each milestone is reached, a sense of intense satisfaction overtakes me. Doubtless, many activities in countless fields of endeavour are capable of producing such good feelings. Be it literature, music, art, sport or anything else: what beats reaching the goal, and being happy with the result? I have dabbled in many things: in fact, all of the above: but somehow writing seems to capture my greatest sense of purpose and meaning. For me, nothing beats the glow of delight in holding a brand new title in my hands. Part of the pleasure in this lies in the fact that it’s the end product of collaboration between myself and Ron, my husband. His role as editor and cover designer are vital to the quality of finished project: and, with customary talent, he performs these tasks admirably. The title is still top secret: but, hopefully by February, all will be revealed. In my younger day, I used to really enjoy gardening. Watching and nurturing the sprouting seeds: at first, delicate, almost invisible shoots popping up after just a few days in the ground: later, turning into often quite robust specimens of flowers, leaves, or veges. It seemed to me to be a most fascinating exercise. But time moves on, and interests change. More and more, gardening took a back seat. The joy of caring for living plants somehow lost its magic: swept away into the recesses of my consciousness by the pressing demands of life. Tonight, in the cool of early evening’s dimming light, I re-discovered the pleasure that hands-on contact with nature can bring. Even in a spare half-hour, much can be accomplished: and I’m not just talking about trimming back the shrubs. No. 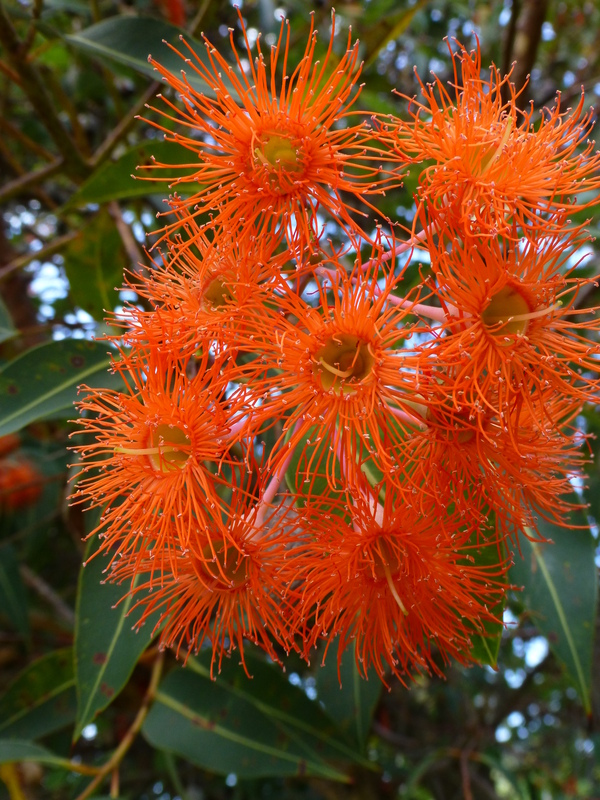 To my mind, the real benefit is the relaxation of focusing on the natural world: the world of plants. Where would we be, without them?